Beijing would welcome more engagement between the U.S. and North Korea — and Washington should consider it. In any political system, from time to time an entrenched position, either through external or internal pressures, is reviewed and opportunities to pursue new options are revealed. U.S. policy toward the Democratic People’s Republic of Korea (DPRK) currently offers such a chance. The net result of the almost total freeze in contact between the United States and the DPRK in the Obama era since 2009 has been a North Korea that has barely changed its political and economic posture and which has aggressively nuclearized. 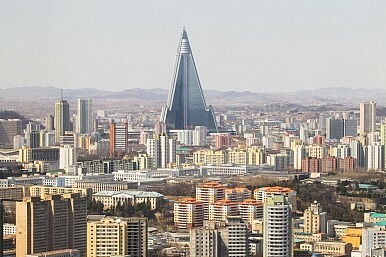 Freezing out the regime has not brought about any major changes, despite the opportunity presented by the leadership transition in 2011, when Kim Jong-il died and his son Kim Jong-un succeeded him. The greatest failure has come in the area of greatest priority: stopping the DPRK’s nuclear plans. If anything, currently policy seems to have made the Kim regime even more committed to its nuclear program. Now, with elections signaling a political change in the United States, and with the EU, Japan, Russia, and other parties all focused on other priorities from the Middle East to Central Asia, it may be time to review DPRK policy and, in view of these underwhelming results from non-engagement, take a fresh tack. At the heart of such a reappraisal and reset would be considerations of China’s role. China is the party with the most vested interests in resolving this issue. It is the DPRK’s biggest trade, aid, and energy partner, and its sole treaty ally. China’s posture toward North Korea under Xi Jinping has consisted of three parts, which the rest of the world might take note of when considering DPRK policy. Firstly, Xi has maintained the coolest of political links to the regime. He has sent colleagues rather than visited Pyongyang himself, and he has not hosted the young regent from the DPRK back in Beijing. This might create the impression of a frozen relationship. But for a country hungry for international status and validation, the perpetually delayed possibility that China might accord the DPRK a high level visit on either side gives Beijing good leverage. So far, the DPRK has not delivered. But this political coolness should not be interpreted as Xi jettisoning the Kim regime; it is simply a way of applying constant pressure on Pyongyang. Secondly, although it’s not often remarked on, China would be eager for more U.S. involvement with the DPRK. While Xi’s China seems to be doing everything it can to push back U.S. influence and America’s role in its immediate Asian neighborhood — see, for example, its assertiveness in the South and East China Seas, and setting up entities like the Asian Infrastructure Investment Bank (AIIB) and the Belt Road initiative (neither of which, interestingly, currently embrace the DPRK) — the North Korea issue is one of the few, perhaps the only, area where China seems very keen for the U.S. to have a bigger role. Its officials in recent years have often mourned the freezing of the Six Party Talks, of which the U.S. was a major part, from 2006 to 2009. They would be very happy to see these resurrected. U.S. withdrawal in the rest of Asia is something China currently likes to see except, very ironically, in dealing with the one partner it has an actual treaty-based relationship with – the DPRK. There, China would embrace a bigger U.S. role. Thirdly, in terms of policy attitude, the Chinese, while being the most likely to be affected by DPRK nuclearization and its threat, have largely accepted at least parts of the DPRK’s ambitions. This stands in stark contrast to the United States, which has been categorical in opposition to Pyongyang’s plans. It’s important to listen to Chinese policymakers more carefully on how precisely they feel they can work with the DPRK’s nuclear ambitions in ways which safeguard security and are sustainable. Perhaps the Americans and the rest of the world are missing something. At the moment, China’s acceptance seems strange. There needs to be a much better dialogue about this issue with China. The most important event for the DPRK this year will be the outcome of the U.S. elections. Whoever is victorious in November, they will want to craft a foreign policy approach that is different from their predecessor. Policy on the Middle East, Russia, and indeed toward China itself is all complex and a new president is unlikely to see good returns on big new moves very quickly. But on the DPRK, just a move toward reengagement of some sort would be easy to do, and would probably, on the whole, be welcomed by the other leading parties, from China to Japan and Russia. Ironically, it is one of the few areas where these parties at least speak to some extent from a shared script. Reengagement from the United States, alongside more involvement by the EU and other parties, would also make sense. For all the news about the Kim regime and its bad deeds, at the end of the day since Kim Jong-un’s elevation four years ago, the young leader has not had any major opportunity to engage and respond to the outside world. His response to engagement is not known, because so far nothing has been attempted. In this context, the idea of resurrecting talks, trying to speak more to the regime and to push proposals toward it, cannot be immediately brushed away as doomed to failure. Policy is about sometimes taking controlled risks, and in this case, that moment might have come. A reset of DPRK policy, with close involvement from China, would be a risk worth taking.